Stuttaford, T. and Sharma, T. (Jun. 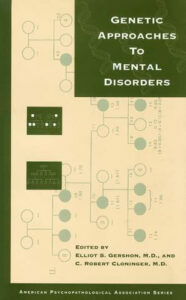 7, 1999). 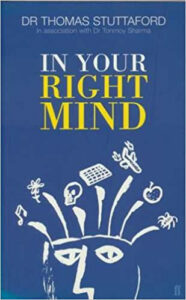 In Your Right Mind. Faber & Faber. ASIN: B01K92E0RW. 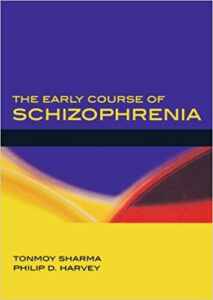 Summary: Presenting the common manifestations of psychiatric disease, this book has a straightforward approach to explaining the symptoms that people with schizophrenia face in their everyday live. Summary: The most recent research on the impairment of cognitive functioning in schizophrenia, including what it is, how wide-ranging it can be, what the clinical implications are, and how it can it be treated. 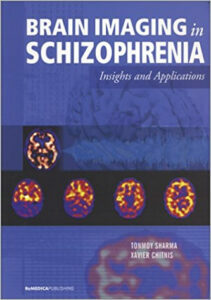 Summary: An exploration of brain imaging in the study of psychiatric disorders, with an overview of psychiatric neuroimaging, and a summary of findings about their applications in schizophrenia research. Harvey, P.D., & Sharma, T. (Jan. 31, 2002). 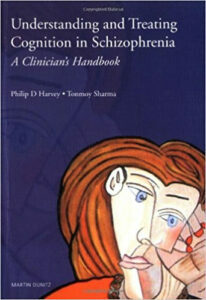 Understanding and treating cognition in schizophrenia: A clinician’s handbook. Martin Dunitz Publishing. 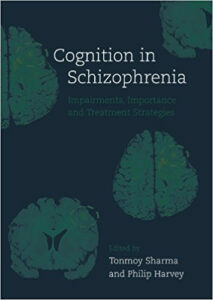 Summary: A handbook describing the most up-to-date knowledge of our understanding of cognition in schizophrenia. For the first time, the authors assess the importance of cognition as an independent symptom domain, including also an analysis of the costs of impairment. Summary: An exploration of the genetic underpinnings of mental health diseases and how this information can be used to improve treatment.